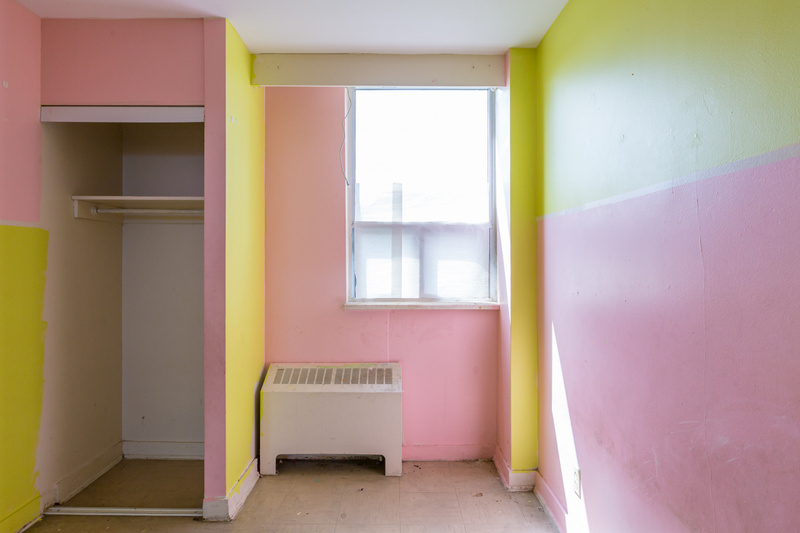 Skip Stop invites viewers to consider the rise and fall of the five towers of Regent Park South. These award-winning structures and their fast-living architect Peter Dickinson are the apogee of mid-century modern architecture in Canada. Titled after the architectural curiosity that organizes the towers’ design—maximally efficient “skip-stop” corridors, permitting two-storey units that front onto both sides—the work featured depicts the depleted energies present in these buildings immediately prior to their demolition.